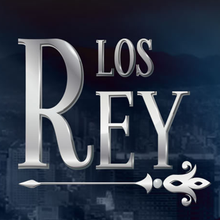 Everardo Rey, is a powerful business man in Mexico, who leads Rey Industrial Group. He’s got three sons: Everardo “Vado”, Guillermo y Matías with his wife Manuela San Vicente. Behind the empire of wealthm, there is a story of betrayal and deceit made meticulously by Everardo Rey, a man who grew up in the field with Pedro Malvido, his best friend. Both were poor and in their eagerness to improve their quality of life, they looked for "American Dream". At USA, they agree to forget Manuela San Vicente, a high class girl, whose was loved by both of them. After serveral years and having made a capital, Everardo and Pedro, got back to Mexico in order to start a glass collection business. However, Everardo Rey forgot his agreement with Pedro and married Manuela, trough a Pedro's fake fraud charge. Once free and without money, Pedro found out fraud charge details and his friend's betrayal, so with his family, Pedro Luis tries to start over again, but always waiting the revenge on Everardo Rey.